While the M.O.C. exhibition center housing the Munich High End Show generated a lot of heat, only some of it was produced by hot products making their debuts. A combination of record-setting crowds (up 10% over 2016), large tube amps, glass ceilings, warm weather outside, and screens that blocked the limited air conditioning that there was, made me feel like I was in a sauna, at least for the first few days of what has arguably become the most important high-performance audio show in the world. Unfortunately, some rooms were so packed and hot, like the Vandersteen/Brinkmann room so admired by my colleagues, that I reluctantly had to bypass them. My focus was on cables, power products, and accessories, certainly not the most glamorous of categories, but critical to optimizing sonic performance. While the prices of some of these solutions give me pause, it’s inarguable that the best-sounding rooms at the show also featured several outstanding (and admittedly pricey) new cables, power products, and accessories. There’s some fine work going on here ranging from eliminating high-frequency nasties, to allowing fine details to emerge more clearly, to releasing the stored energy in your system to better approximate the sound and air pressure of a live performance. 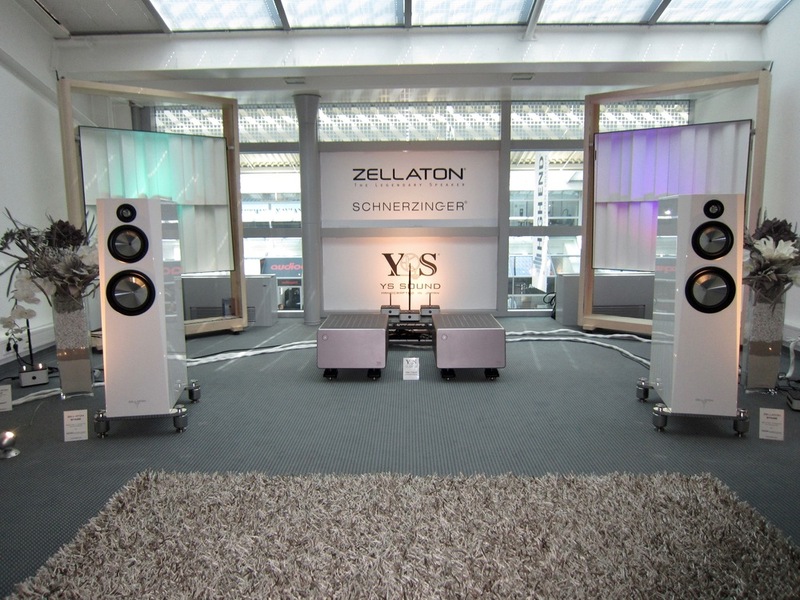 One of the best sounds of the show was the Audioarts room featuring the breathtaking Zellaton Stage loudspeakers, YS Sound electronics, and the remarkable Schnerzinger cables and protectors. The system really drew me into the performance and was very natural, uncolored, and transparent, with a very low noise floor that let fine details emerge. The Zellaton’s sonic purity reminded me of my Quads, but without their dynamic-range and bass limitations. This startling performance was aided by Schnerzinger very-high bandwidth cables, interconnects, and power cords utilizing the company’s proprietary “Atomic Bonding” technology. They are part of an overall approach to shielding the audio signal from interfering fields, as well as transporting electrical information cleanly. Schnerzinger’s Giga Protector consists of a transmitter and receiver and is an adjustable 9-channel high-frequency suppression system which protects the audio signal from interfering fields. The results are amazing and hopefully we’ll find out more about these products, including pricing, via upcoming reviews. Distribution in North America of both the Zellaton speakers and the Schnerzinger comprehensive cabling system is via Audioarts. Another sonic standout, but with quite a different overall gestalt, was the MBL system featuring the awesome 101 X-treme loudspeakers driven by MBL electronics, including four MBL 9011 power amplifiers. 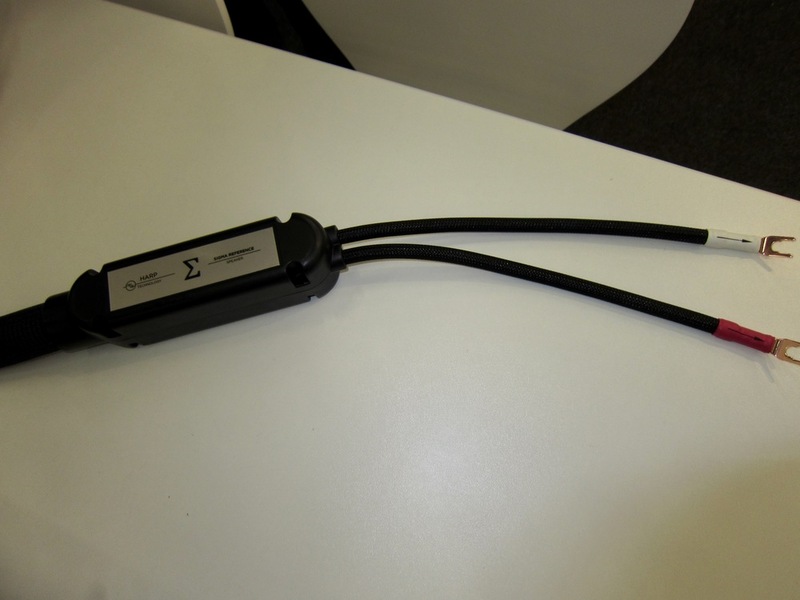 Cabling was all Wireworld Eclipse except for the MBL PC-2 power cords ($950 for 1 meter). I was told that no power conditioners were used because “conditioning is on-board with MBL products.” As for the sound, this system had tremendous impact and deep bass extension, as evidenced by Michael Jackson’s “Billie Jean” track. The portrayal of subtle details on the Beatles’ “Fool on the Hill” was among the best I’ve heard, and orchestral recordings approached a concert hall experience. The overall sound was much more appealing and engaging (namely, more coherent and less bright) than last year. Two systems in pods on the ground floor of the main halls were also sonic standouts and had first-rate cabling (They also had their own air-conditioning systems so I was able to finally cool off!). SME showcased its 30/12 turntable system with Ortofon A95 cartridge, the remarkable YG Acoustics Sonja 1.3 speakers, and impressive new Nagra electronics. Speaker and power cables were from Crystal Cable’s 100% monocrystal Absolute Dream series with Siltech Empress Crown RCA cables. An LP of The Planets was thrilling with explosive dynamics, very good tonal color, and lots of fine details emerging from a jet-black background (a hallmark of SME turntable systems). On another LP, Ben Webster’s sax was wonderfully rendered with lots of air and gorgeous timbre. This was a system that gelled nicely. Another system in a pod was equally impressive. It featured Muraudio Domain Omni PX2 speakers (I love ’stats! ), Simaudio Moon electronics, a Stillpoints ESS rack and a dozen Aperture panels, plus new Sigma power, speaker, and interconnect cables from Shunyata Research. The Shunyata Sigmas incorporate two patent-pending technologies: TAP technology to help reduce sonic glare, and HARP technology to break up resonances in speaker cables to improve resolution and coherency. 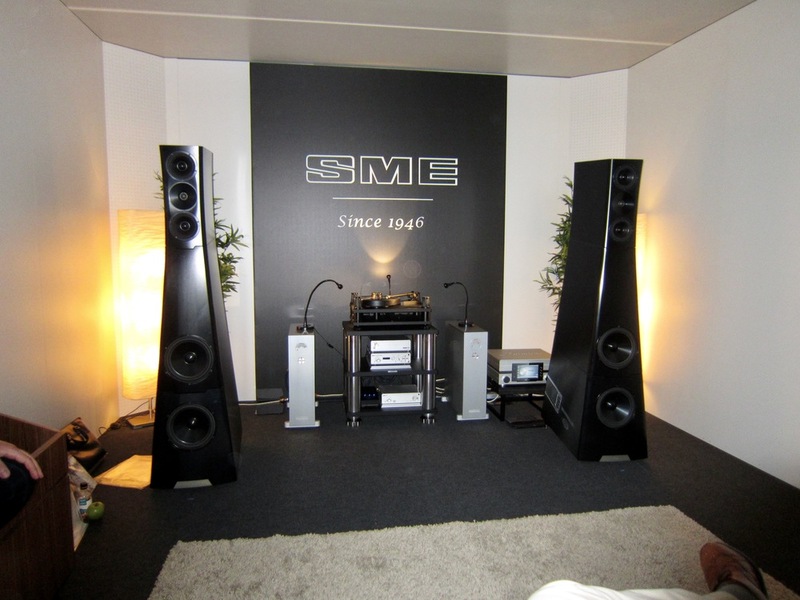 The overall sound from this system was one of the best at the show, with great clarity, low distortion and coloration, and outstanding transparency. Kharma raised its game with its new Enigma Veyron EV-4 speakers, a better match for the room than its larger speakers last year. 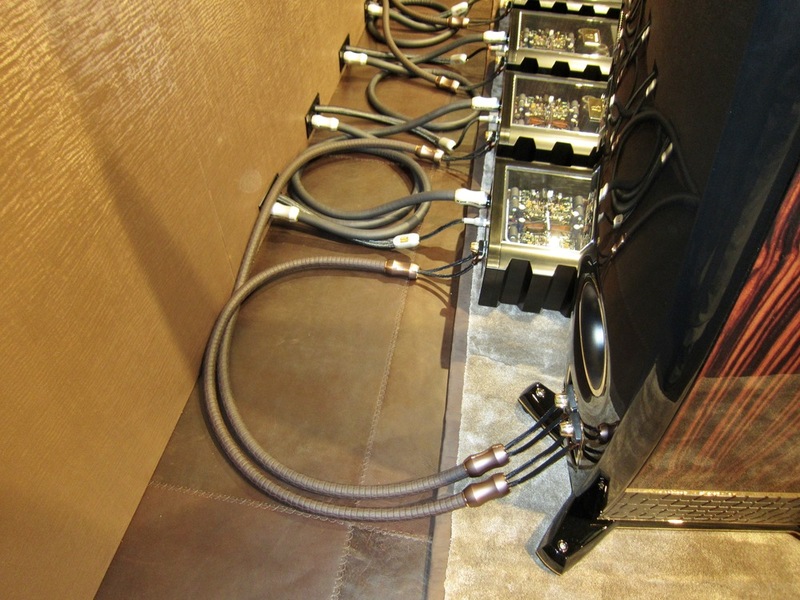 Kharma used its own electronics and a new line of Kharma Enigma Veyron speaker, interconnect, and power cables, which feature silver and carbon fiber. 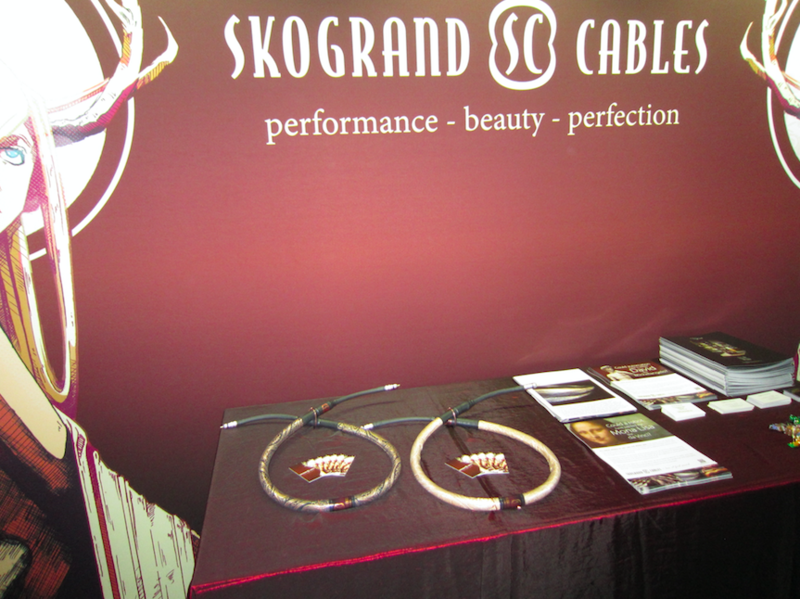 (Kharma also introduced two other cable lines: the Exquisite and Elegant). The company has also developed its own audio rack with diamond discs used to suspend and isolate its shelves for a full Kharma systems solution (save for the dCS Vivaldi and Clearaudio Statement that graced the room). The system had gorgeous and natural tonal colors with “delectable” massed strings and “woody” woodwinds. Dynamic impact elicited shudders, and transients were very fast without any smearing. This was another best sound of the show candidate. 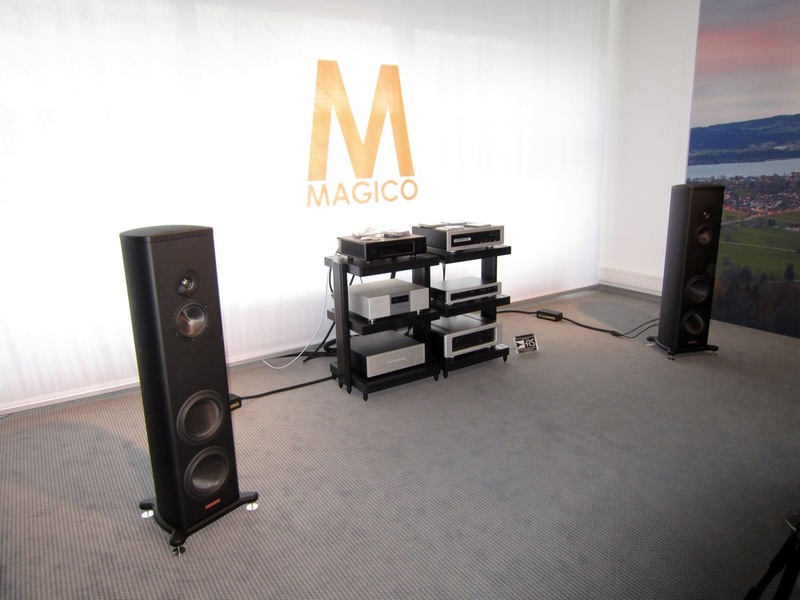 Fortunately, on the last day of the show, I was able to finally get a seat in the Magico room featuring the company’s S3 MkII loudspeakers, Spectral electronics, and MIT’s MI-2C3D Level ONE speaker cables and impedance-matching line-level interfaces from its new Heritage series. According to MIT, the Heritage series incorporates significant cost reductions, such as smaller capacitors and inductors from those in MIT’s reference Oracle and Matrix products, but with similar circuit topologies. This is the kind of trickle-down I’ve been waiting to see! The sound of the system was lifelike and present, with terrific clarity and immediacy, broad soundstaging, and very good transparency. Last but certainly not least in the best sound of the show sweepstakes was the Rockport Cygnus, driven by top-shelf Soulution electronics, a DeBaer Sapphire turntable, and Vovox cables from Switzerland. 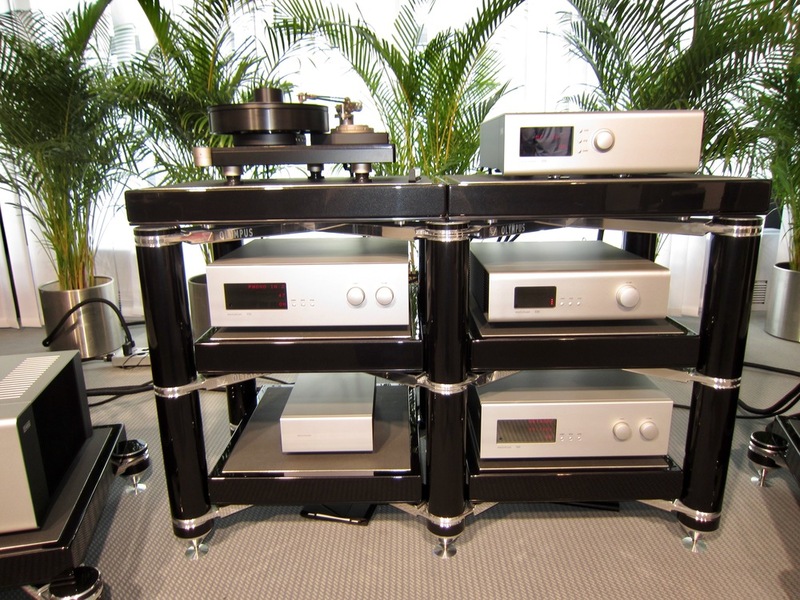 The Soulution electronics sat atop Critical Mass Systems’ new Olympus-V12 racks and amp stands. The Olympus-V12 doubles the Critical Mass Maxxum’s ability to lower the noise floor by doubling the number of damping stages from 6 to 12. The sound of the system was stunning, producing silky-smooth massed strings and terrific detail, clarity, and transparency. 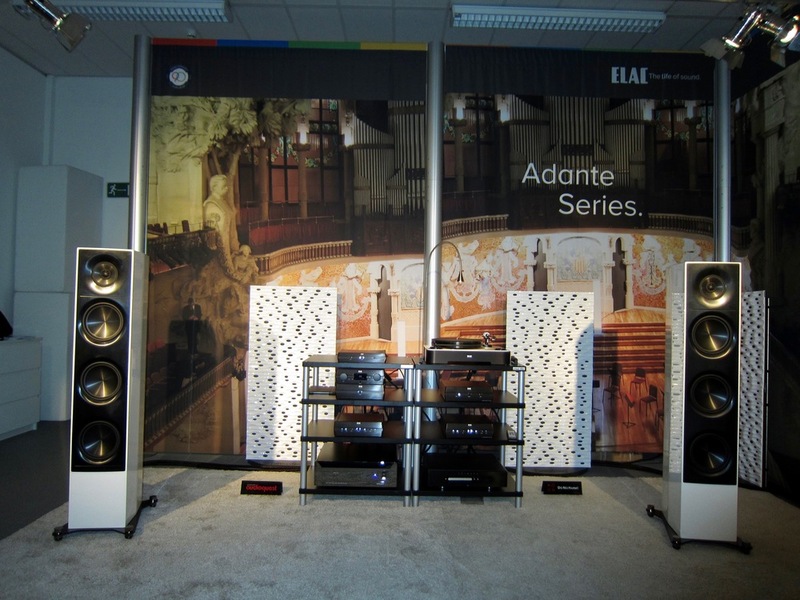 For great value, the Elac room was difficult to beat with its Adante speakers ($5k/pr. ), an Elac turntable, and Elac Alchemy (formerly Audio Alchemy) electronics designed by Peter Madnick. The system used AudioQuest Castle Rock cables in a bi-wired configuration, along with an AudioQuest Niagara 5000 power conditioner. With its tonally balanced, dynamic, and detailed presentation, this system was competitive with systems costing far more! More companies were demonstrating their cable solutions versus other wires, both within their own lines and against others. Different Ansuz Acoustics cables were used in a system with the wonderful Raidho 4.1 loudspeakers and Aavik Acoustics U-300 integrated amplifier, ultimately producing one of the best sounds of the show. After upgrading from a well-regarded unnamed power cable to the Ansuz A-2 ($2300), the sound was more open and defined with better dimensionality and bass control. Moving to the Ansuz C-2 ceramic power cord ($4000) resulted in more presence, control, and even better dimensionality. The biggest performance increase came with the Ansuz DTC power cord, which uses Tesla coils for isolation and energy release, producing a sound with more impact and low-level detail, and broader soundstaging. It felt more like a live performance with more air pressure on the breastbone. There’s something to this energy release thing! Nordost is an old hand at doing live comparison demos. This year it compared three products in its new QKore series of parallel grounding units, designed to eliminate hum and electrical noise caused by high-frequency interference and stray magnetic fields. Each unit offers an effective ground point for your system. 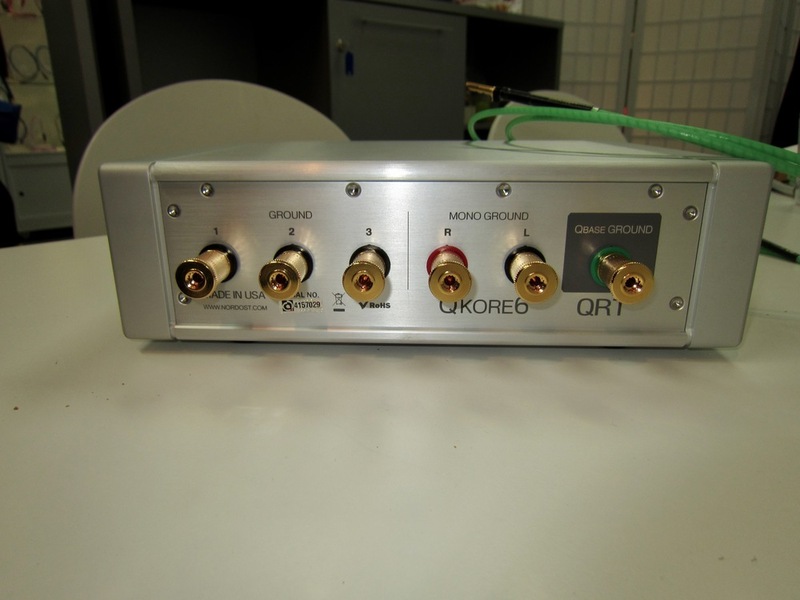 Its QKore 1 ($2499) is designed to be used in conjunction with a Nordost QBase. In a system with Moon electronics and Audio Physic’s Avantera speakers, adding the QKore 1 resulted in enhanced clarity and smoothness. Moving to the QKore 3 ($3499 with its three grounding posts) broadened the soundstage and there was more fine detail. Lastly, with the QKore 6 ($5k with, you guessed it, six grounding posts), the system had sharper focus, better clarity, and more dimensionality. Besides excelling in the Elac system, AudioQuest also had an enlightening comparison with its venerable NRG-4 ($350) power cable and Niagara1000 ($995) power strip using synth tracks. In this case, the same track was ripped with a standard IDE cable hooked to an Alesis ripper, then with an AQ NRG-4 power cable connected to the Alesis, and lastly with the NRG-4 hooked into a Niagara 1000 with an NRG-4 connected to the wall. The differences between these tracks was dramatic with significant increases in rhythmic drive, ambience, and “punch” as the power connections improved. 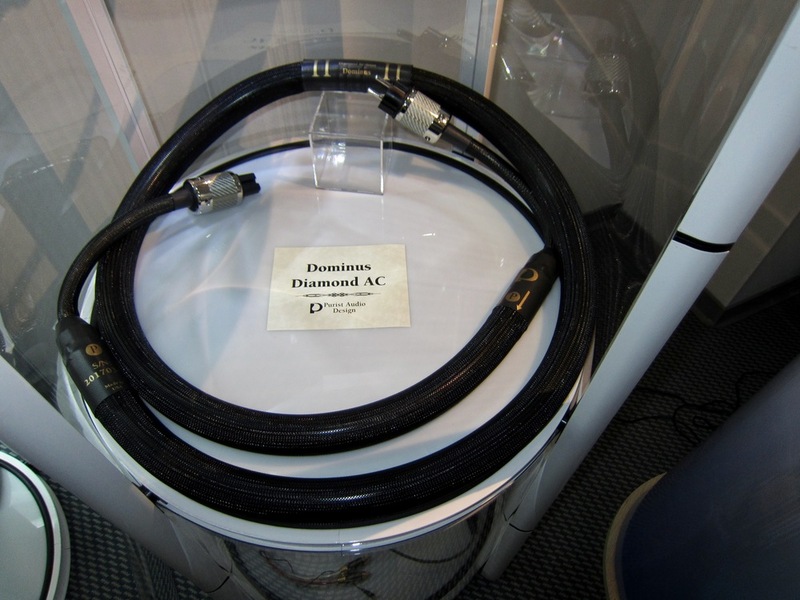 Purist Audio introduced its Diamond Dominus Revision power cable ($3500) with top-end Furutech plugs, silver nano-wire, and Contego ferox and fluid shielding, as well as its Impresa Diamond Revision headphone cable (starting at $795). The system with Purist Audio cabling, the jewel-like and highly adjustable Triplanar tonearm, Vitus electronics, and Peak Consult Diablo SE speakers was quite enjoyable, and very open, relaxed, and natural sounding with fine details clearly rendered. Skogrand has been quite busy during the past year. It introduced a new reference line of cables—the Stravinsky series with 50% less Ultra Low K material touching the OCC solid-core wires via a metal mesh shielding, as well as the new entry-level Vivaldi series, using trickle-down technology from the company’s more costly cables. The Stravinsky sports a new inner core framework structure to lock the OCC wire within the air dielectric space, among other features. 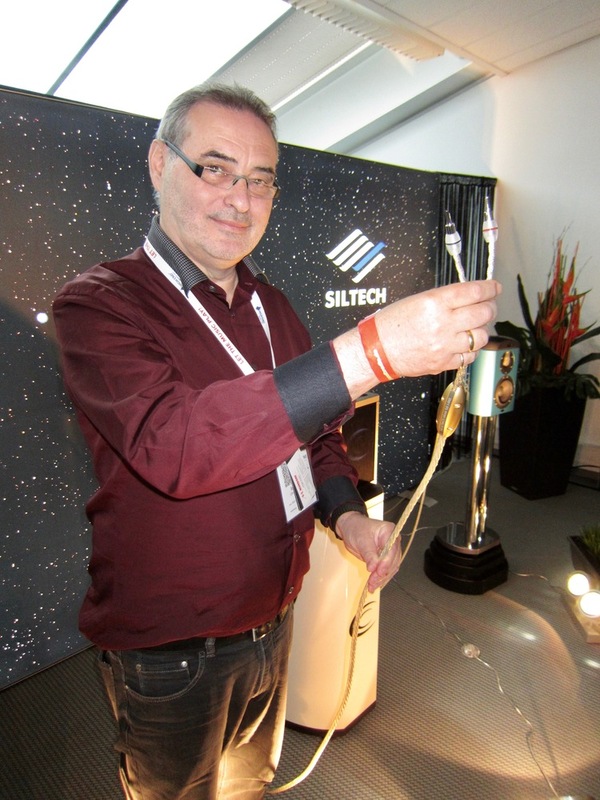 EnKlein introduced a new USB cable, the David Version 2 ($4k for 1.5 meters), which uses four solid-silver conductors that are individually shielded. It is a flat design and the silver conductor is formed into the pin offering a solderless connection. 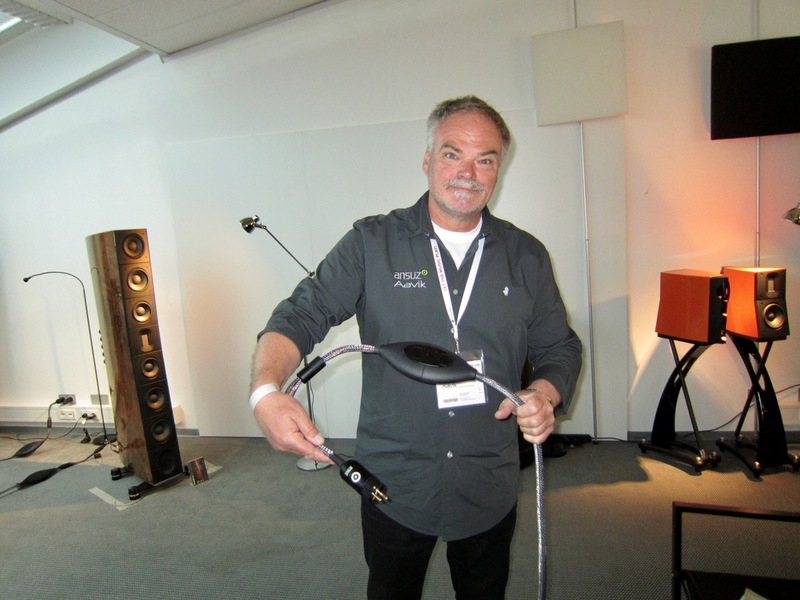 EnKlein also offered a new Hi Fi One power cord ($13,000 for standard 6-foot length) which is similar to EnKlein’s “David” power cord but with some significant upgrades, including a silver conductor within the shielding system. 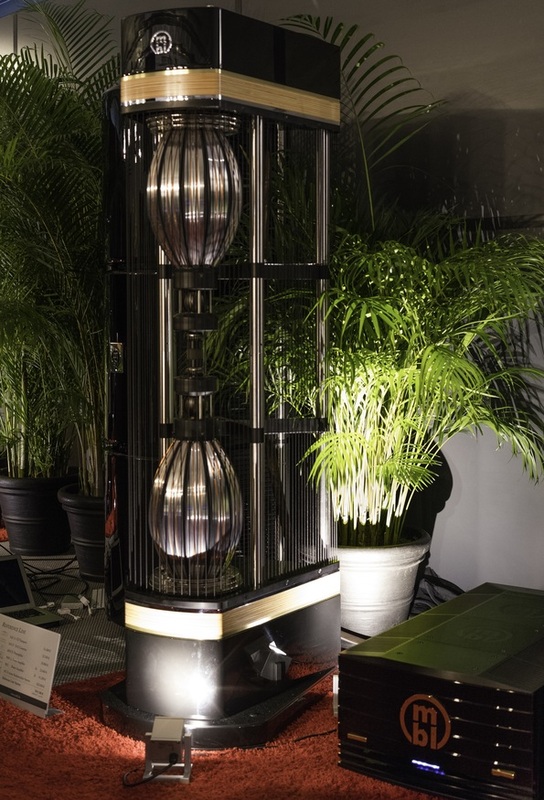 Crystal Cable introduced its new flagship Ultimate Dream speaker and power cables using a special configuration to eliminate magnetic distortion. Each is made of seven unique conductors with six of them made of monocrystal silver, and the seventh, in the center of the configuration, made of silver-gold. This very low-distortion cable is claimed to provide another octave of clean bass. In other news, AMG introduced its best tonearm cable, the Turbo ($2250), designed for the AMG Turbo tonearms as well as all tonearms terminated in a 5-pin DIN/SME connector. It features an air-dielectric, Grade 1 copper, and matched propagation conductors. Cardas Audio has a new bulk network cable, a new Iridium power cable, and a revised version of its A8 ear speakers ($349). Best Sound (cost no object): The Zellaton Stage with YS Sound electronics, and Schnerzinger cabling produced a natural purity and clarity that was captivating. MBL’s flagship 101 X-treme powered by its Reference Line components sounded the best I’ve heard them sound in Munich with awesome dynamics, extension, and fine detail. Best Sound (for the money): The Elac Adante speakers ($5000/pair) driven by Elac’s Alchemy series electronics (DDP-1.2, DPA-1.2, PS-5.2, Discovery Q ROON server, and PPA-1.2) with bi-wired AudioQuest Castle Rock cables and Niagra 5000 power conditioner made me think I was listening to a system costing far more. Most Significant Product Introductions: The Constellation Leo (a compact all-in-one smart music system) and the wireless Estelon loudspeakers produced surprisingly good sound. Both could be harbingers of things to come. Most Significant Trend: In cables and power products, a focus on shielding audio signals from interfering fields, and releasing stored system energy to bring one closer to the live event. In general: MQA. Most Coveted Product: The Zellaton Stage speakers.